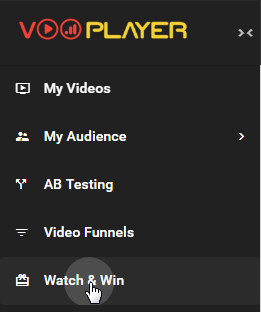 This is an advanced feature that allows you to gather more information about your viewers by making watching videos a contest. You are creating a contest that viewers can take part in by watching and sharing your content. To view example of the Watch & Win Contest, please refer to this article. Give it a name and add specific video you want to use on it. Edit Contest Settings to create your custom Contest. Click here to open this GIF in a new tab in order to view it in the higher resolution. Setting points for video completion and referral is extremely important as those are the ones that will determine the winner. You can set your contest to show only on Particular Date or to be Always Available and you can set a number of points which viewers will receive for sharing and watching your video. In this case, everyone who finishes watching the video will get 5 points. Referral point have more value, as the viewer has to share your video with their unique link. They will only get 10 points if someone else finishes watching the video with their referral link. 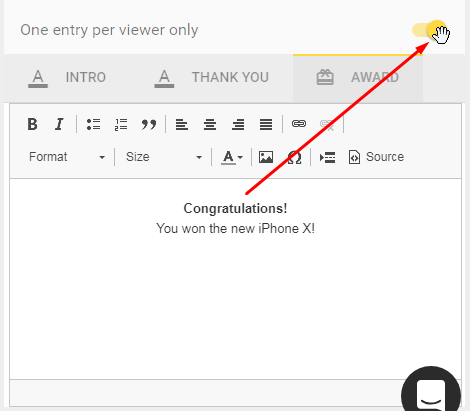 Besides this, you can set INTRO notification, THANK YOU email and AWARD email for a winner. The switch "One entry per viewer only" will insure that there are no duplicated participation. When you configured the settings according to your preferences, click on the PUBLISH button to save and publish your contest. 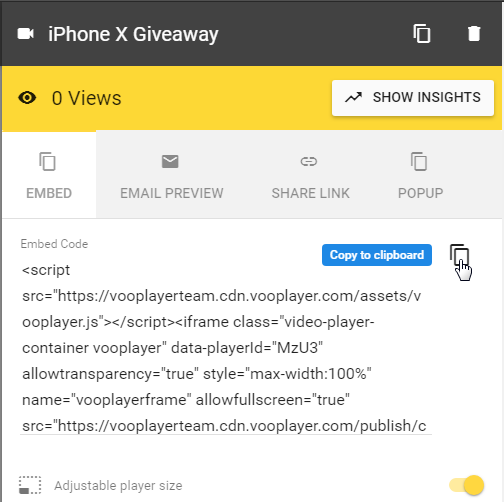 Use the "Copy to clipboard" button to copy the embed code and paste it on your site or you can share the URL with SHARE LINK. Once you have viewers for your contest, you will have a ranking list. You are declaring a winner by clicking on the icon shown here and the AWARD email will be sent automatically.